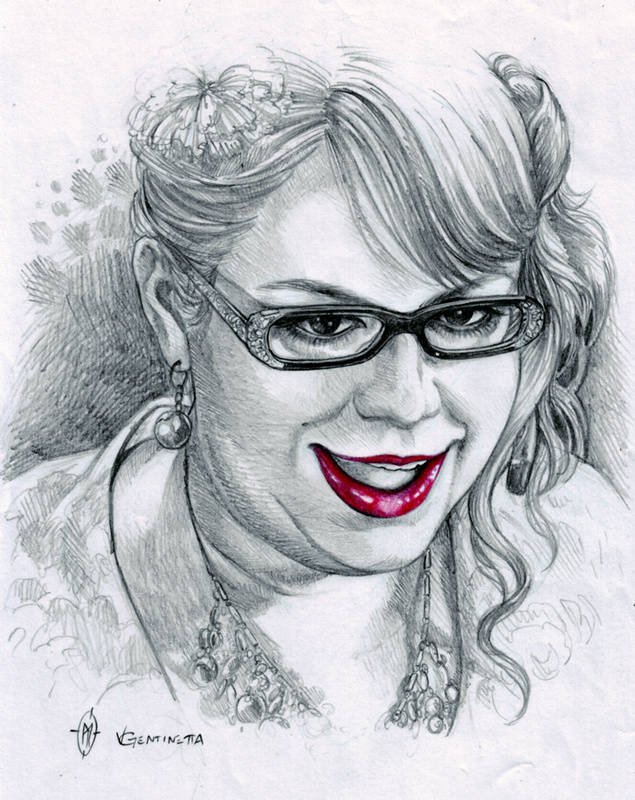 Actress Kirsten Vangsness playing FBI tech goddess Penelope Garcia in TV show "Criminal Minds". Screenshot from episode 5x15, "Public Enemy". Show and character © CBS, art © Vera Gentinetta. L'attrice Kirsten Vangsness interpreta l'esperta informatica dell'FBI Penelope Garcia nella serie TV "Criminal Minds". Dall'episodio 5x15, "Nemico Pubblico".